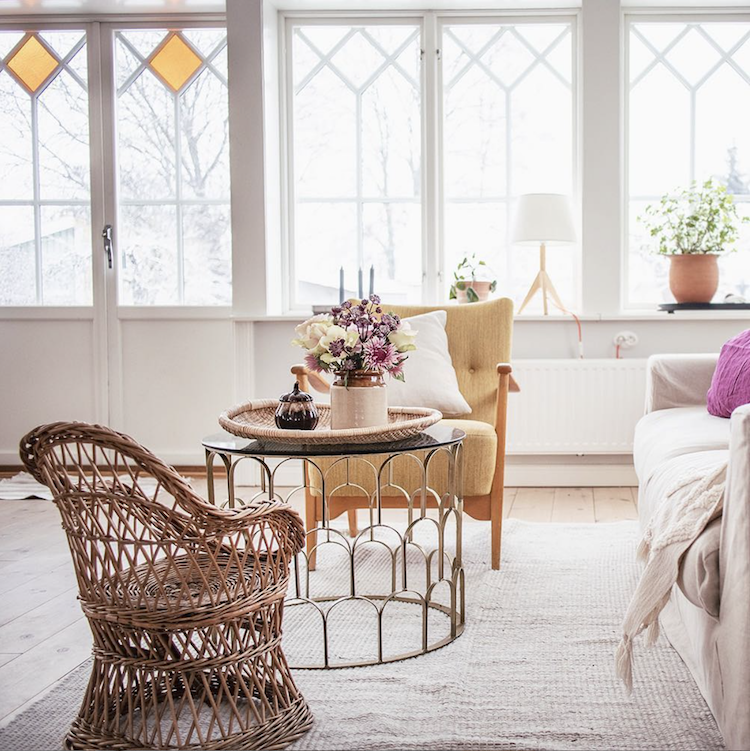 The Easter school holidays have officially begun in Sweden, the spring flowers are finally in bloom and the sun is shining (if only it were a little warmer though – BRRRRR – up North they have three metres of snow, crazy!). 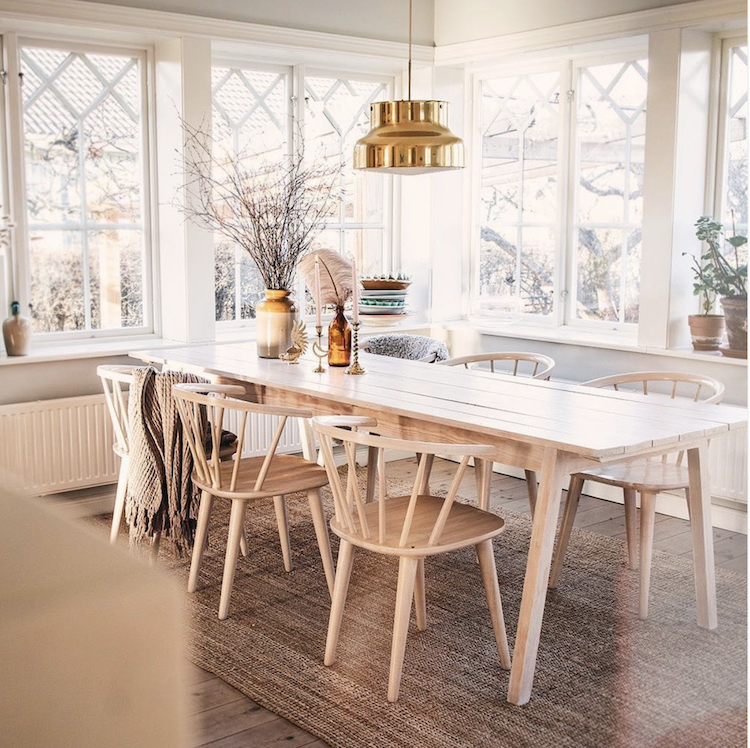 The home of Ulrika Andåker – the fashion and interior blogger behind Colorelle has added some lovely Easter touches to her charming home in Norrköping – which perfectly captures the essence of spring time in Sweden. 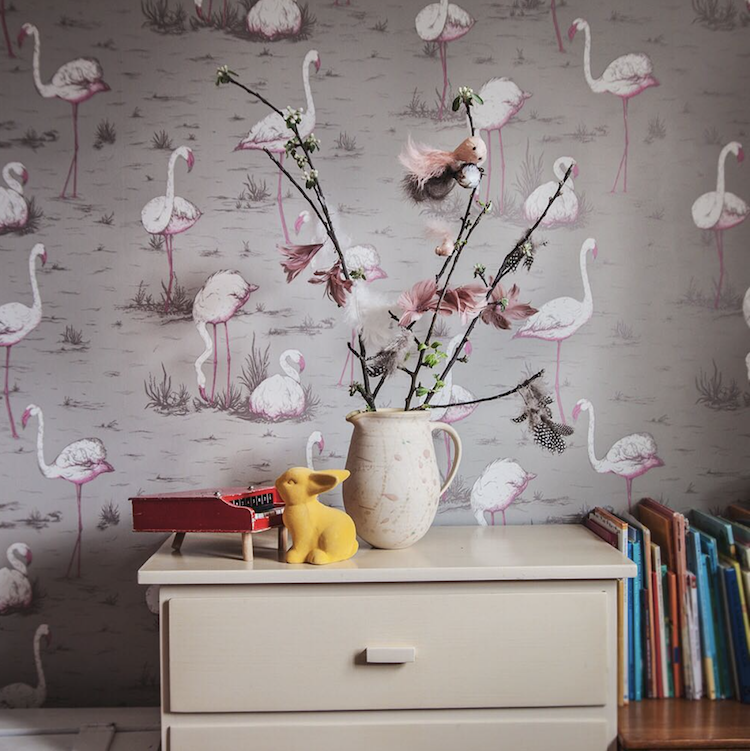 Keep a look out for subtle pastel accents, feathers, eggs, lilacs and blossom! 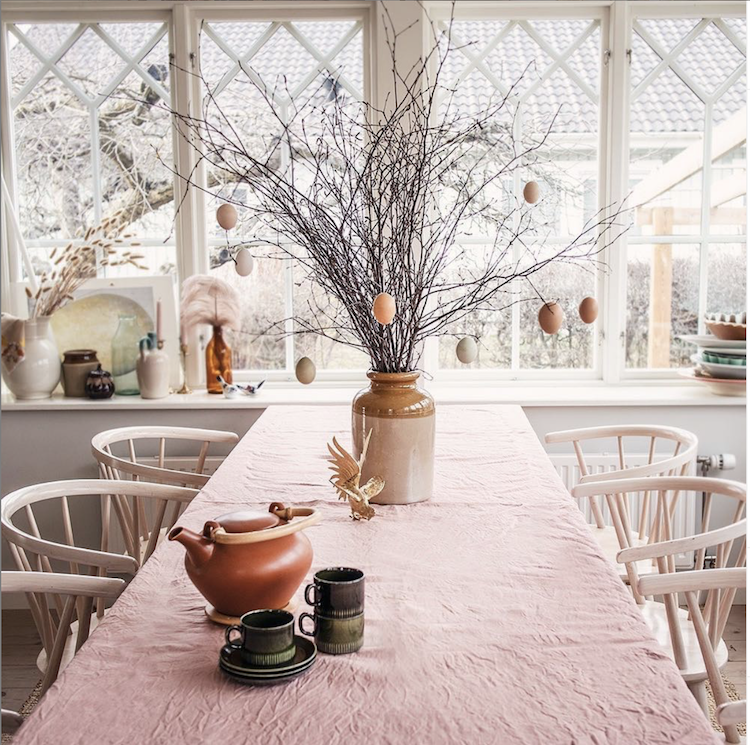 In Sweden it’s customary to tie coloured feathers to branches – I love these subtle brown-pink hues, they’re so pretty! 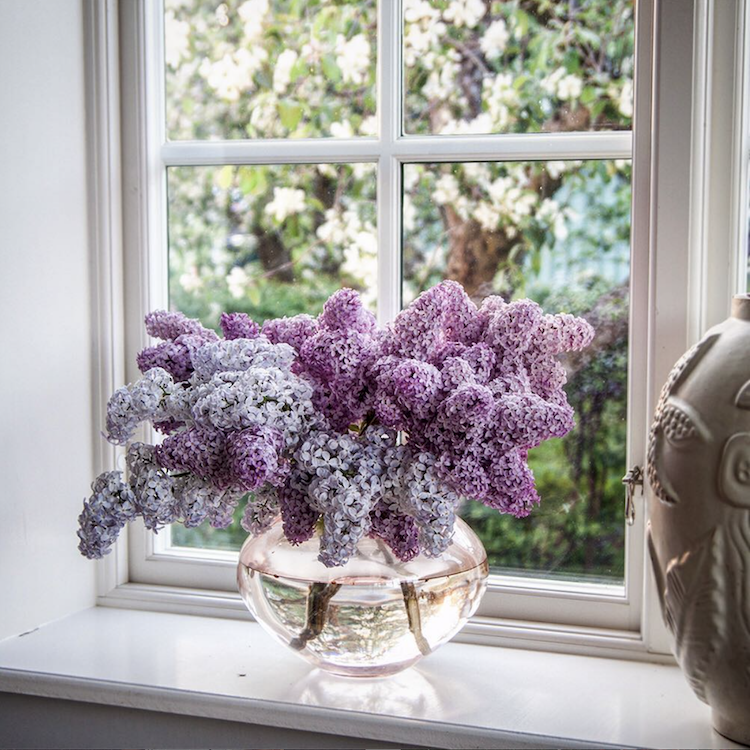 A simple bouquet of lilacs from the gardens make a pretty display in the window. 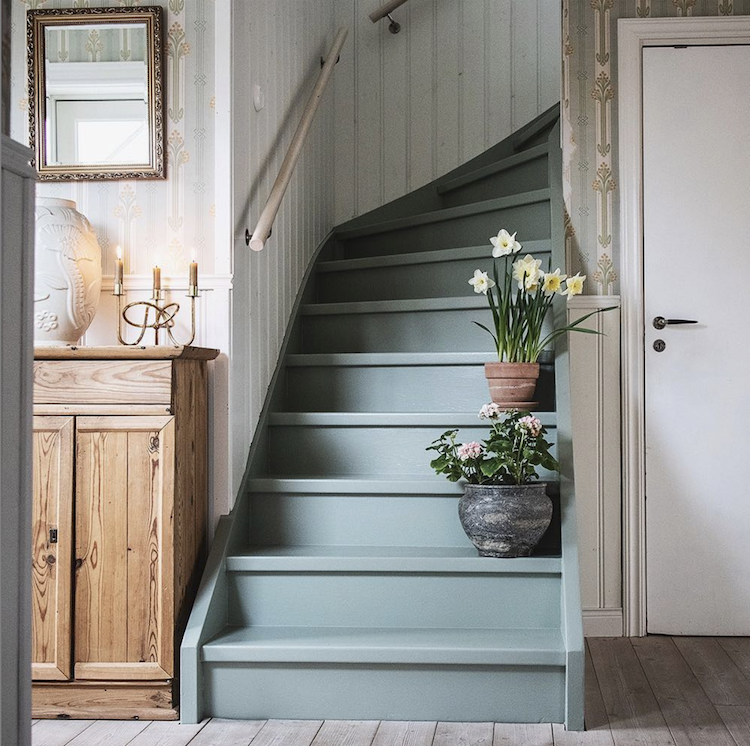 Pretty daffodils and geraniums brighten up the stairway. 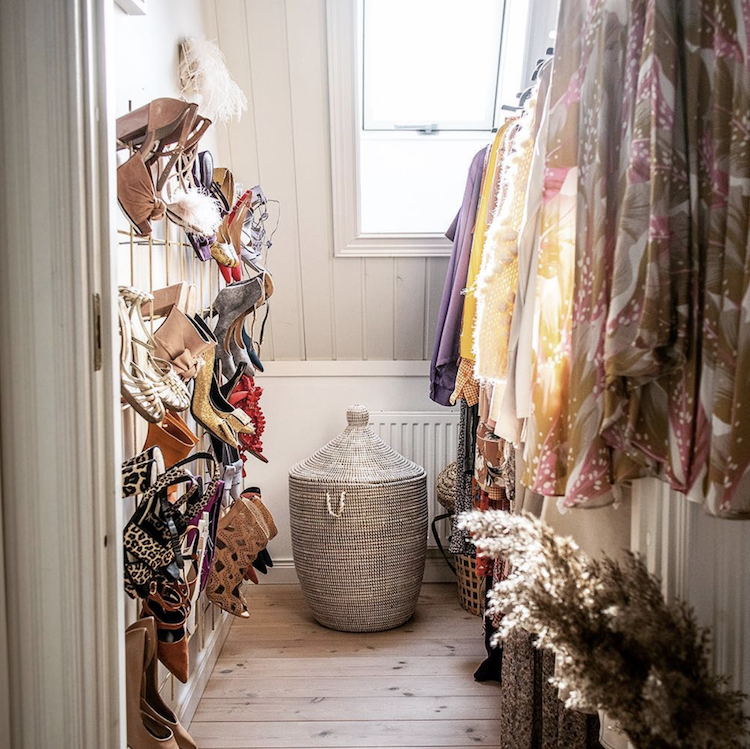 Ulrika’s dressing room occupies a small yet bright spot on the upper floor and a garden trellis has been used for shoe storage – such a clever hack! I love these subtle ideas! 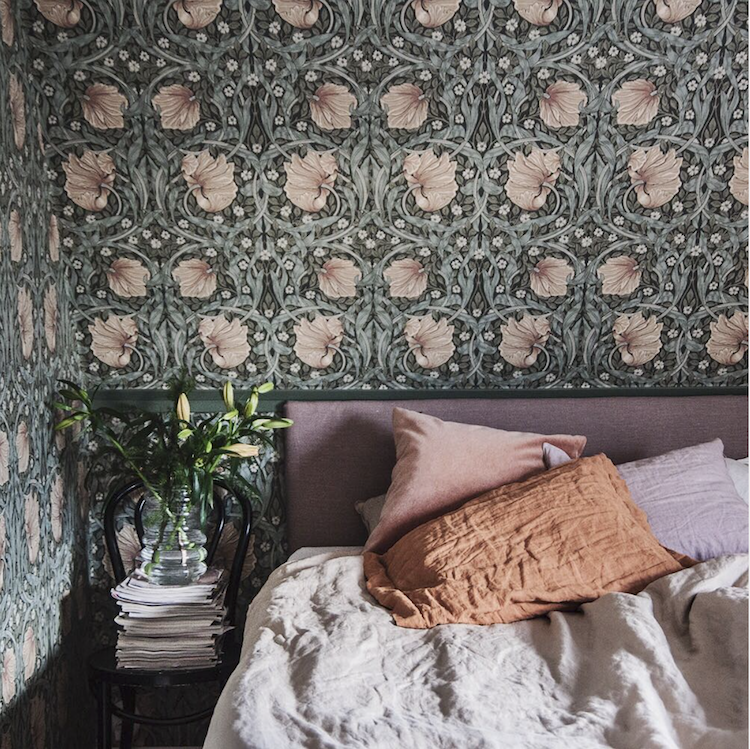 In fact, there is so much inspiration to be taken from all the decor, don’t you think?! 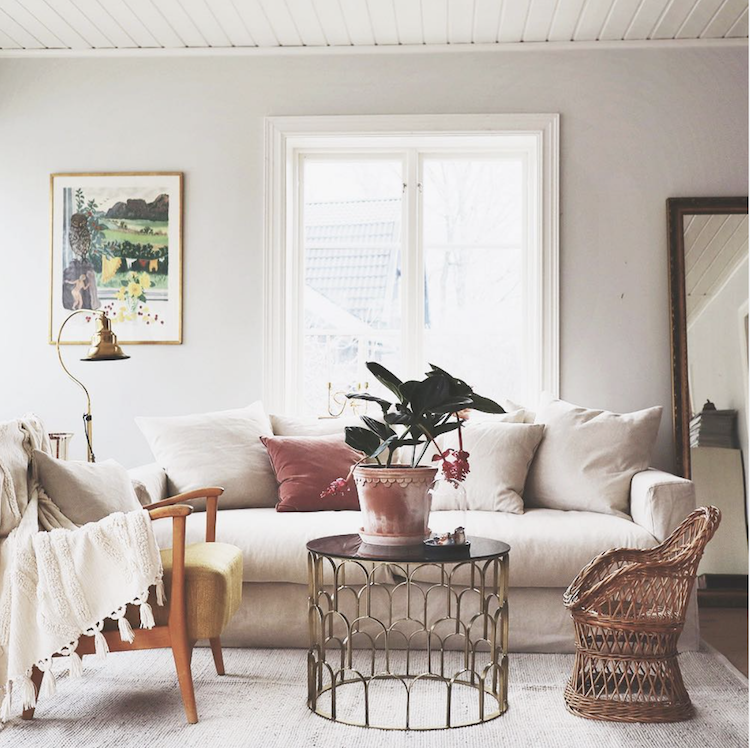 See more pictures of Ulrika’s home as well as get fashion and styling ideas over on her blog and instagram. 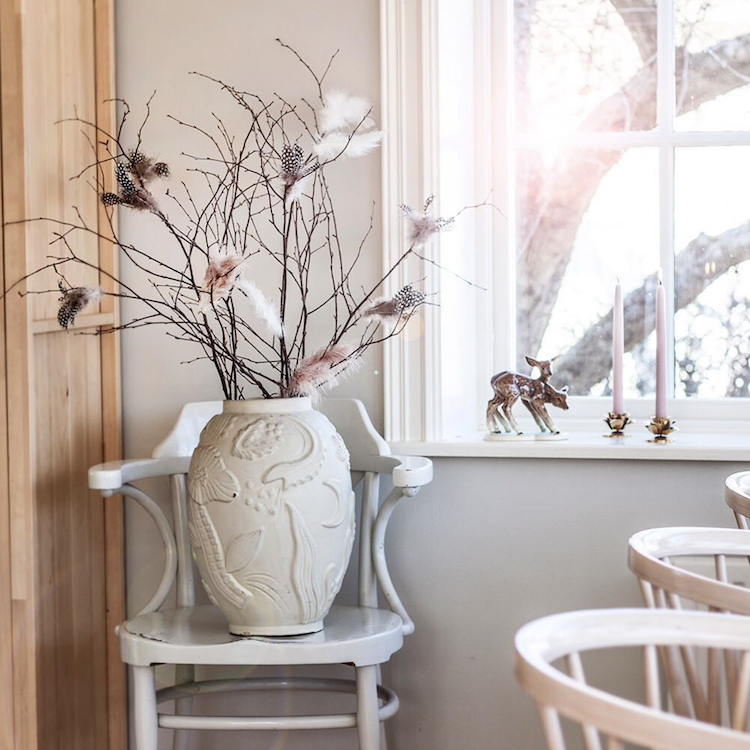 For more DIY ideas check out My Big Easter Edit and Five Beautifully Simple Easter DIY ideas. We’re heading to London for Easter this year but I might contribute with my DIY bunny ear napkins! 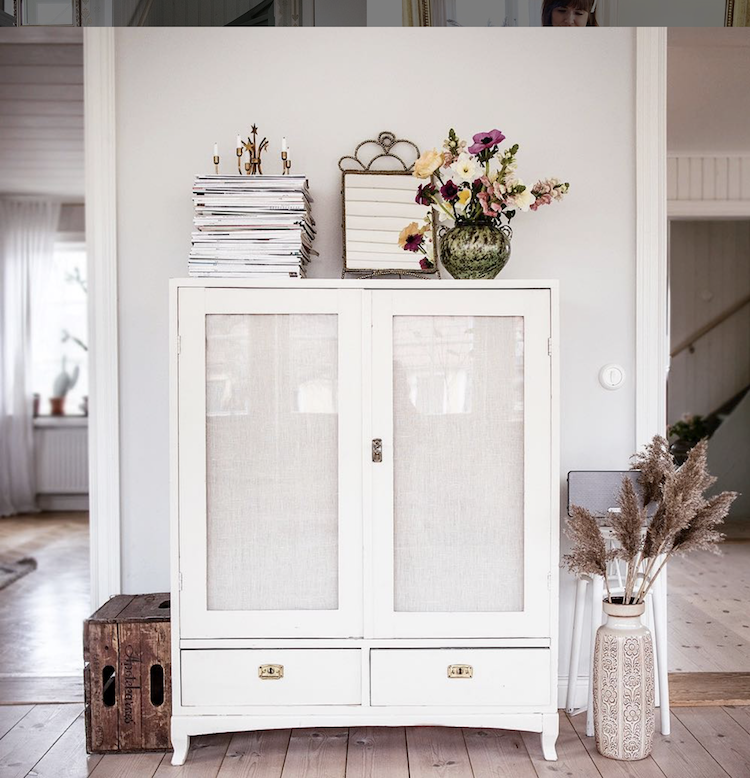 Do you have any Easter / spring decorating traditions?